In a Reddit AMA, Valve’s Gabe Newell confirmed that his company is working on unannounced games and that a Half-Life related title isn’t out of the question. As could be expected from the Valve founder, Newell didn’t confirm development on Half-Life 3 but did state that his company is working on at least one “fully-fledged” single-player title. “The number 3 must not be said”, Newell replied when asked about Half-Life 3. 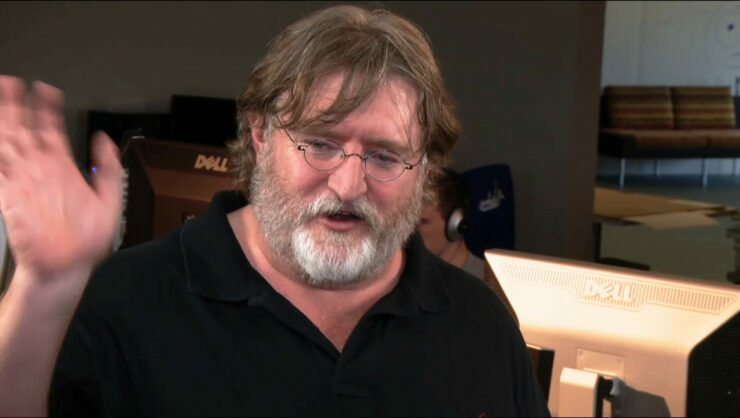 Gabe Newell, as always, remained tight-lipped about a possible Half-Life 3 and Valve’s upcoming titles. “I personally believe all unidentified anonymous sources on the Internet”, he said when asked about an unidentified anonymous source that claimed the cancellation of Half-Life 3. However, he did give a little bit of hope that perhaps a new IP set in the same universe of Half-Life could arise at some point. Other than confirming that the unannounced games mentioned above, will run on Valve’s Source 2 engine, Newell remained vague. The exact nature of Valve’s upcoming new projects is uncertain, but at least we can expect at least one single-player title, whether this is related to the Half-Life franchise remains to be seen, but it hasn’t been totally ruled out. We’ll keep you updated whenever the studio choose to reveal more, of course.